We do more than advise – we work at the heart of our clients’ organizations and help address their most complex issues. To do that across more than 40 industries and every kind of project imaginable requires a host of talented people – each with their own unique skillset, background and industry knowledge. The key is allowing these individuals to make the most of the expertise of some 368,000 colleagues while supporting them to enhance their industry and technical knowledge, as well as experience across our client base. You’ll be part of an inclusive and diverse team, and you’ll receive the training you need to help keep us—and you—greater than. So we want YOU for Strategy, Management Consulting, Technology, Digitalization or Operations. 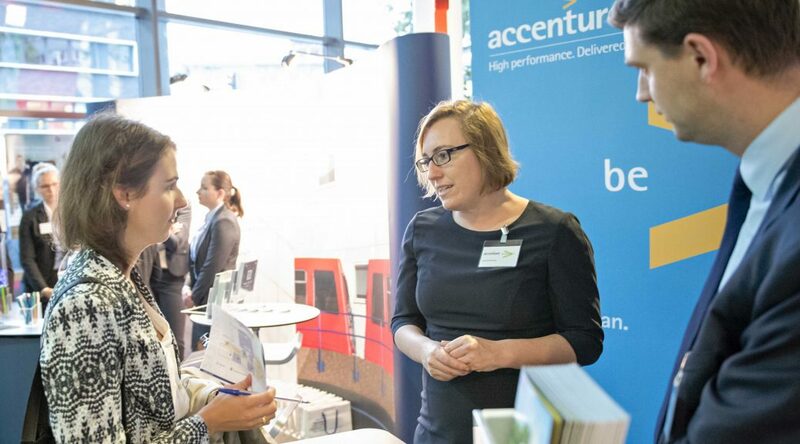 Therefore we launched the Accenture Frankfurt School Campus Team to answer YOUR questions, whether you consider starting with us for a permanent job or an internship. Within the next year we will expand our presence with multiple events where you can meet us in person. When I started my master degree at Frankfurt School, I had no idea, what sort of career I would want to pursue after graduation. In my second year, I took a course in consulting. I had never been in touch with the consulting industry, but enjoyed the class a lot. We covered topics such as issue trees and presentation skills, and gave advice to a real client by developing a market expansion strategy. With these skills in mind, I applied at Accenture and got a job offer in Management Consulting. Quite often I get asked what I do in my job. I think what describes my work best is solving problems. I think that’s really it. The subjects may change from project to project (such as payment services or a robo advisory investments solution in my case), the colleagues and people around you anyway, but problems remain. There can be unsolved issues with regards to contents. Answers need to be given on how to design or plan a certain product or strategy. But many problems also arise because of miscommunication or a lack of transparency. Finding solutions to these kind of problems I consider challenging but also intriguing. If you find yourself dealing with the same views and questions or you are interested in an informal exchange about a job in the consulting industry, I am looking forward starting the conversation with you. 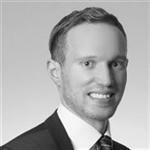 I have been in touch with Frankfurt School since I started my Bachelor in cooperation with Bankhaus Lampe in 2009 to pursue my dream of becoming a portfolio manager. After graduation I had to adjust my dreams for several reasons and decided to enter the consulting industry. After two years of absence and sufficient projects in the telecommunication industry I received an e-mail from Frankfurt School to join their recently launched MBA program in 2014. A couple of intensive classes later and a job training which was provided from Accenture I joined the company in 2016. Instead of becoming a portfolio manager I am now shaping and transforming the Asset and Wealth Management industry of this world working in places like London, Chicago and Zurich. 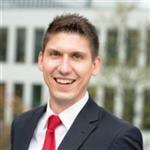 As an active alumni of Frankfurt School I am looking forward to connect you with Accenture and being a direct touch point for any questions you might have. And don´t be shy, we are hiring for capital markets all year long! 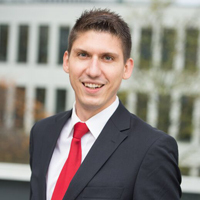 Having achieved my first degree at another business school, my first contact with the Frankfurt School of Finance & Management was the full-time MBA program in which I was enrolled from 2014 to 2015. With several years of job experience in the banking sector for capital markets products, I was eager to gain this degree and with that transform my career towards business consulting. The courses gave me the tools and capabilities to let my ambitions become reality and to meet with Accenture during various occasions: job fairs, class trainings, intense personal contacts. And this is what I would like to offer you together with my peers as well: If you are interested in working at the pulse of digitalization for financial services around retail- and private banking with focus on distribution and marketing, wonder what it feels like to work in a truly international and diverse surrounding (may it be colleagues or the projects at the client site), or you just would like to chat about my thoughts regarding next career steps or how the industry will change at all – feel free to contact me directly on any available channel. I started my career in the financial services industry with an apprenticeship as a bank clerk in my home town. Since the beginning of my apprenticeship it was my goal to move to Frankfurt, the main city of German and international banks. Therefore I started my job integrated studies at Frankfurt School in cooperation with Commerzbank. After I finished university I decided to face new challenges within a consulting company. Before I started my new job I expected it to be full of stereotypical manager and banker types. But already after the first day I learned that everyone cares about the people and the work we do. By working as a Consultant I consider the variety of my projects. Even within one project no day is like another. I am specialized in Regulatory and Compliance related topics and trust me, it is not as boring as it sounds. Why I can recommend a career as a consultant? You’ll be entrusted with responsibility and working with senior clients very soon in your career. The consulting sector attracts top-quality graduates, so you’ll be working with diverse, intelligent, like-minded colleagues who enjoy combining creative, innovative thinking with a very practical approach to solve the client’s problems. If you are interested in how the life of a Consultant looks like I am happy to answer your questions.